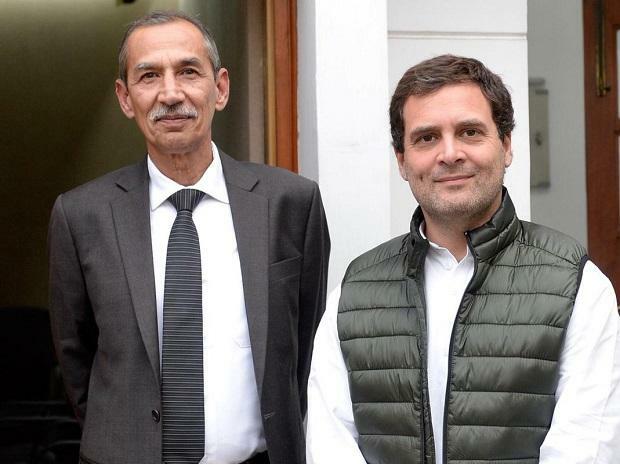 D S Hooda, a former Northern Army commander and main architect of the 2016 surgical strikes on terror launch pads in PoK, will head a Congress task force on national security. Congress sources said party president Rahul Gandhi met Hooda and discussed the modalities of the panel. "The Congress president is setting up a 'task force on national security' to prepare a vision paper for the country," a party source said. The source also said that Hooda will lead the panel and prepare the paper in consultation with a select group of experts. Hailing the step, Congress spokesperson Priyanka Chaturvedi tweeted, "Yet another positive and welcome step towards a strong nation and stronger national security by Congress President @RahulGandhi. The experience that Lt Gen (Retd) D S Hooda brings in, will benefit the nation in the long run." In another tweet, she said, "The only thing they will find is Surgical Strike and How's the josh?! :))"
The Congress has been accusing the Modi government of politicising the surgical strikes. On September 29, 2016, the Army had carried out the strikes on seven terrorist launch pads across the Line of Control (LoC) in retaliation to an attack on its base in Uri earlier that month.